"My iPhone 7 plus turned off by itself when it was fully charged and it won't turn on.I tried everything, i've charged it for a hour I tried force restarting it but I won't turn on.I don't know what to do "
The 2016 flagship handset of Apple, iPhone 7, nowadays seems to be limelight. Not because of its features or sales, but due to a certain issue, which the users are facing. Users are complaining that their iPhone 7 won't turn on. This can be due to various reasons. Among the list of causes responsible for iPhone 7 not turning on after update, software malfunction, insufficient battery power, and hardware damage stands out to be more effective. Part 1: Why My iPhone 7 Won't Turn on? As mentioned above, the list behind as to why users complain "My iPhone 7 won't turn on" is huge. Let us have a look at some prominent reasons causing you this issue. Software malfunction: Software malfunction is the reason behind 90% of the issues that takes place with Apple device. And in this case too, it is not lagging behind. A small error in the software can cause your iPhone to be dead, perhaps forever. Insufficient Battery power: One of the silliest reasons for your iPhone 7 not turning on can be lack of power. If your iPhone does not have enough juice, how will it turn on? The logic is simple and clear! The longer the power in your battery, the longer will the iPhone run. Hardware damage: And in the end, how can we miss the hardware section. In case you drop your iPhone or it gets exposed to water, hardware components might get damaged causing the issue. 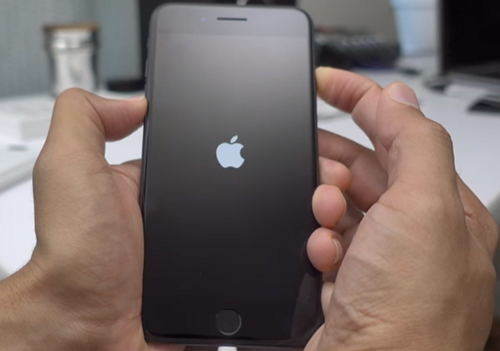 If your iPhone 7 will not turn on or keeps falshing Apple logo, then do not panic. Here are some solutions that you can try and bring back your iPhone. If you are facing "iPhone 7 screen not turning on" issue, the easiest solution to try is to check the battery level of your device. Plug in your device to a power source to charge your battery. Sometimes, it is not the iPhone that causes the issue. If your device does not charge, this might also indicate a fault in the charger and the lightning cable. The adapter and the cable might be damaged due to prolong usage or other reasons. This might be reason as to why your iPhone 7 won't turn on when charging. You need to check if these two components are working properly or not. If not, replace them immediately. Force restarting iPhone can sometimes come handy. This might solve your issue in addition to other minor issues. Force restarting iPhone 7 is as easy as a child's play and can be used if your iPhone 7 won't turn on even when plugged in. All you need to do is long press the Sleep button and the Volume Down key till handset restarts and Apple logo appears. Recovery Mode allows the users to solve a list of problems related to iPhones and iPads that are caused due to software issues. 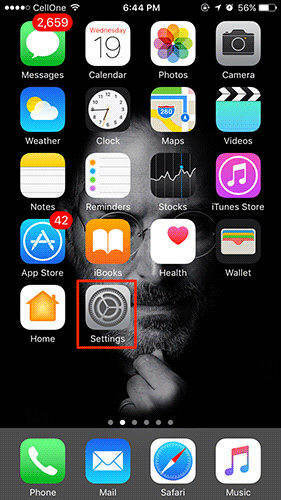 You can use the Recovery Mode if your iPhone 7 does not turn on. Here are the steps that need to be followed if you are facing this issue. Long press the Volume Down button and the Power button until the screen goes off. Carry on holding the Volume Down and the Power button. Let go off the Volume Down and the Power button as soon as you see the "Connect to iTunes" message on the screen. If you feel this method a bit difficult, you can always opt for Tenorshare ReiBoot. This is a free of cost software that will allow you to enter and exit the Recovery Mode with just a single click. If entering into Recovery Mode does not help you, you will need to put your iPhone in DFU mode. This might help you solve the issue. Here are the steps that you need to follow. Connect your iPhone 7 to computer and launch iTunes. Long press the Sleep button for 3 seconds. Now, long press the Volume Down button while still pressing the Sleep button. Keep pressing both buttons for 10 seconds. Release the Sleep button but keep pressing the Volume Down button for 5 seconds. That's it! Well, using most of the above solutions pose the risk of data loss. And if you need to solve your issue without any loss of data, you can always use iOS System Repair Tool Tenorshare ReiBoot. This software resolves all sorts of issues related with Apple devices, such as iPhone stuck on Apple logo, recovery mode screen, headphone mode, black screen and so forth. Here are the steps that need to be followed if your iPhone 7 will not turn on past apple logo. Click on "Fix All iOS Stuck" option when you launch the tool. Next, click "Fix Now" and proceed with the downloading of latest firmware package for your iPhone 7. After the package is done downloading, click "Start Repair" option. 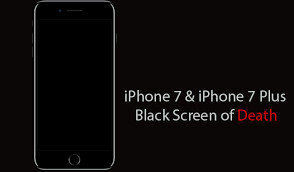 Restoring your iPhone 7 to default factory reset will put back the original settings that it had at the time of purchase. But it will also wipe out all your data. If you are ready to take this risk then you can proceed. Go to Settings and click on General. Next, click on Reset and select Erase All Content and Settings. This will do your job. And in the end, if the issue persists due to any hardware failure, you can always contact Apple. Do not try to play with the hardware of the iPhone as you can end up in a big mess. Charge your iPhone 7/7 Plus regularly. In this way, you can make sure that it is on and free of any problem. Do not charge your iPhone overnight. Over-charging can damage the battery of your iPhone. Avoid exposing your iPhone to extreme temperatures (hot and cold). It is recommended to keep your device in an average temperature. Avoid using cases and covers while charging your iPhone. This might prevent unnecessary heating of the battery and the iPhone. Do not charge your iPhone more than 95%. This will keep the battery life intact for a long time. Last, but not the least, handle your iPhone with care. Do not play with any hardware component that might damage the iPhone beyond repair. In short, you had a look at the top 8 easy ways to fix iPhone 7/7 Plus won't turn on issue. Well, do let us know your feedback on these solutions. You can do this by commenting below.